The objective of this tutorial is to help you understand various functionalities under Shift Edit Window to modify or adjust the existing shifts. 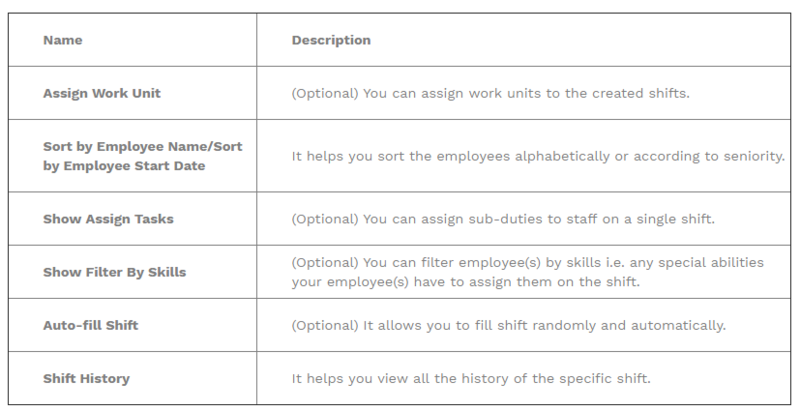 If you have created a custom shift or need to make adjustments to a shift you’ve added using a shift template or scheduling template, you can modify the shift’s details in various ways. The shift details may vary based on your selections. 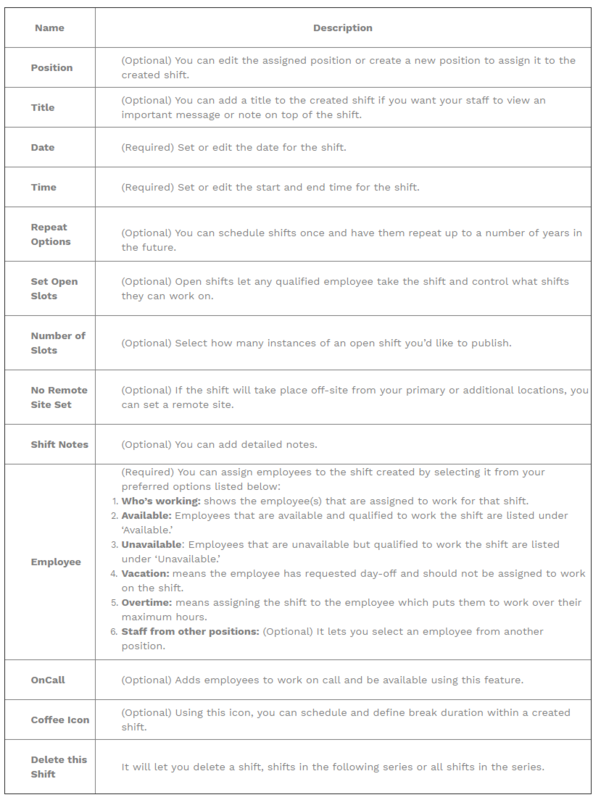 You must have a manager/admin, supervisor and scheduler access privileges to modify or adjust the shifts. You can modify the shifts under different basic and timeline views expect list view with help of the icons listed on the right-hand side.